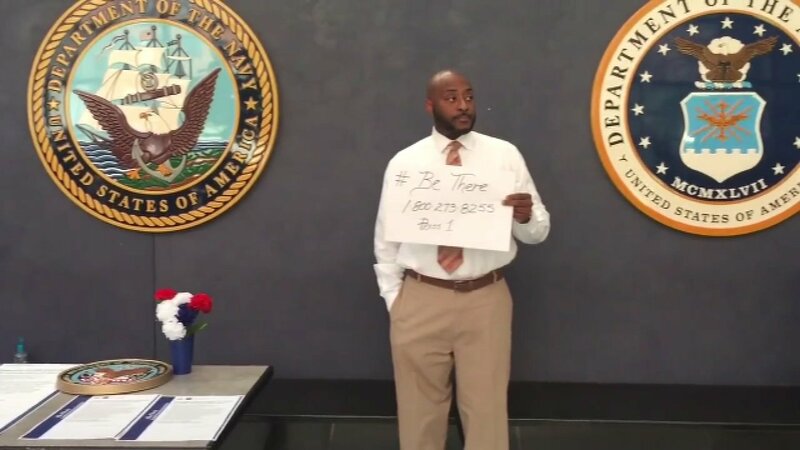 CHICAGO (WLS) -- There was a public show of support for military veterans suffering from depression on Thursday. Workers and patients lined up at the Jesse Brown VA Medical Center to sign a suicide prevention declaration proclamation. Around 20 veterans commit suicide every day. September is Suicide Prevention Month and Thursday's event highlighted the mental health programs offered to veterans. More information about those programs may be found at https://www.mentalhealth.va.gov or by calling 1-800-273-8255. The Jesse Brown VA Medical Center is located at 820 South Damen Avenue in Chicago.